Based on the original Polaroid OneStep from 1977, the black OneStep+ from Polaroid Originals reïmagines the classic instant film camera by using Bluetooth to offer mobile device compatibility and expand its creative potential. Designed to be simple and easy to use, this camera accepts both i-Type and 600 instant films to produce 3.1 x 3.1" prints, and has true point and shoot functionality. 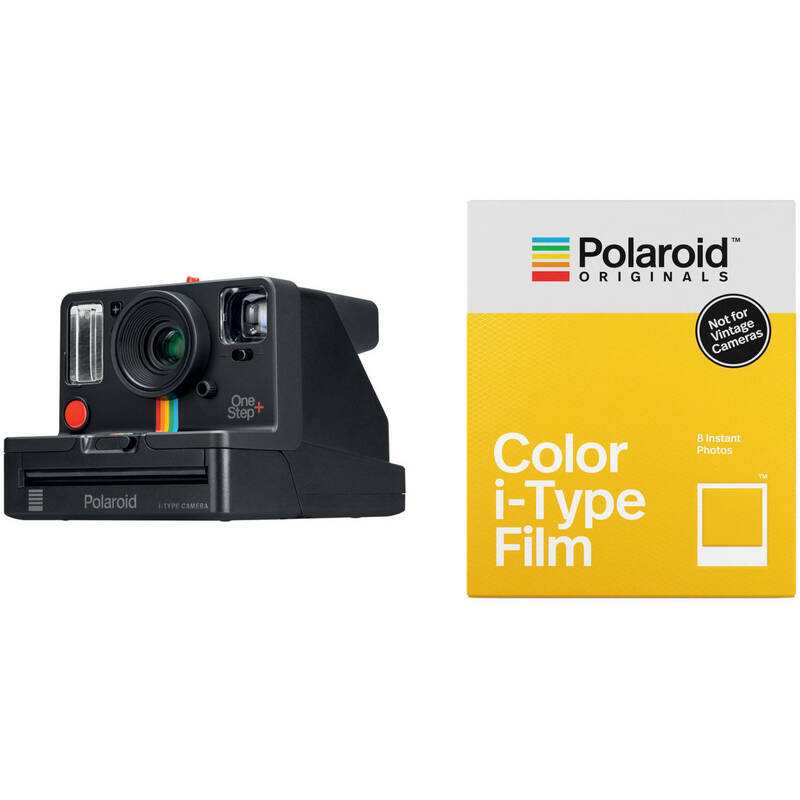 The OneStep+ integrates with an iOS or Android mobile device with the Polaroid Originals app installed, which can activate the camera's remote trigger, noise trigger, or manual mode, as well as the ability to make double exposures or light paintings. Box Dimensions (LxWxH) 6.85 x 5.15 x 4.25"
Does this have a timer? If you mean a self-timer for selfies, yes it does. The Self-Timer settings are 1 second or 12 second. It also has time exposure with the smartphone app if you mean that.